HRANA News Agency – Government sources recently published reports of the new sentence given to Mohammad Ali Taheri, the spiritual leader of Erfan-e-Halgheh (Interuniversalism). According to the report of Human Rights Activists News Agency (HRANA), several government websites such as “Adyan News” which is close to the intelligence services of Iranian Regime, published a report about the new verdict recently given to Mohammad Ali Taheri the spiritual leader of Erfan-e-Halgheh( Interuniversalism). These sources have not published any further details about the trial or new charges of this Conscience Prisoner. It is important to mention that back in 2011, Islamic Revolutionary Court sentenced Mohammad Ali Taheri to 5 years imprisonment, a fine and 72 lashes on the charges of “touching female patients, blasphemy and intervention in medical science”. 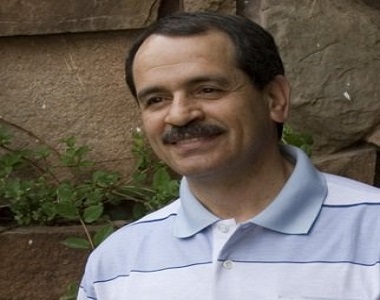 Mr Taheri has been arrested several times before and his last arrest took place on 4 May, 2011. Erfan-e-halgheh and Mr Taheri Followers have attended several protests gathering within the past couple of weeks in front of Islamic Revolutionary Court and Evin prison demanding his freedom and several of his followers arrested or prosecuted.